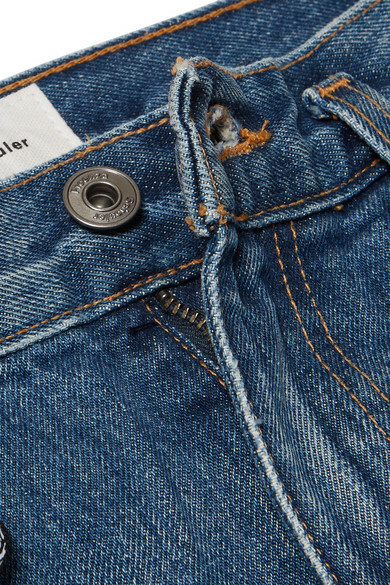 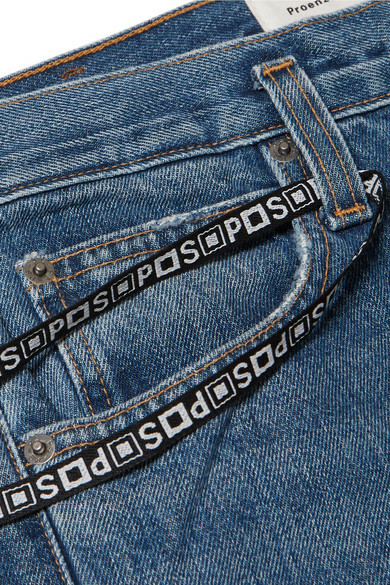 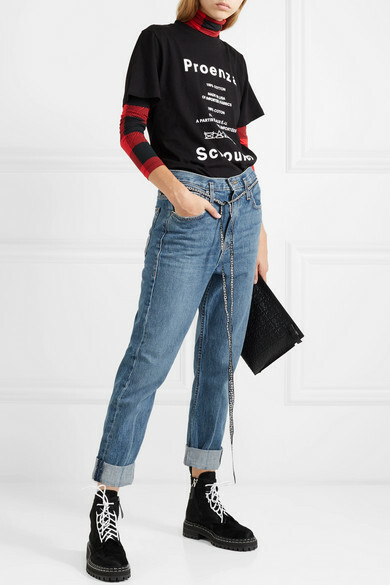 Proenza Schouler's jeans are part of the label's PSWL diffusion line. 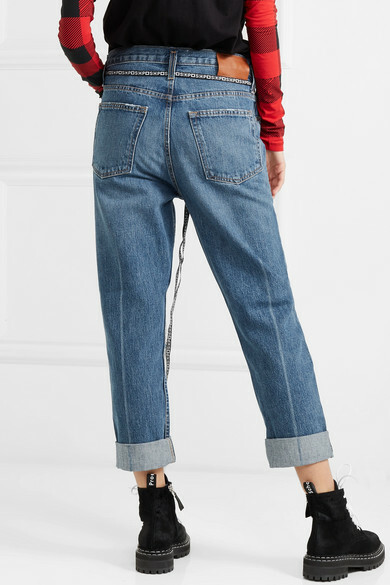 Made from rigid blue denim, this pair can be worn in multiple ways - low on the hips for a slouchy look, or partially unbuttoned and held in place by the logo-woven canvas shoestring belt. 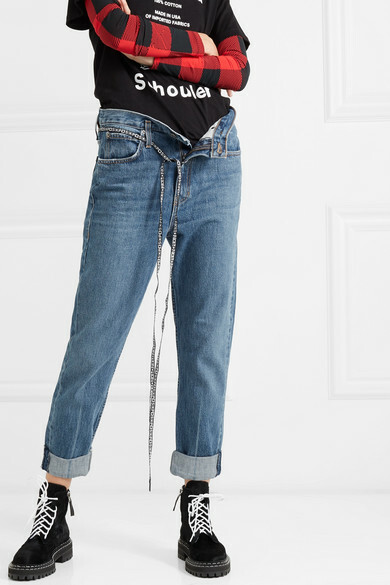 The turned-up cuffs create a slightly cropped length. 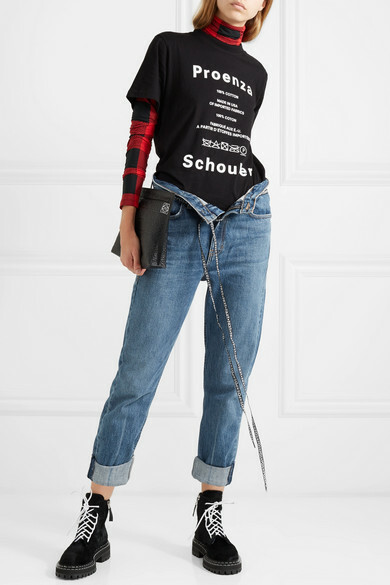 Shown here with: Proenza Schouler Top, Proenza Schouler T-shirt, Proenza Schouler Ankle boots, Loewe Pouch.